Eye massagers can be a great way to relieve temple pressure, eye strain, headaches, and even to treat facial pain. These are unique, high-tech pain-relief aids that typically offer a range of massage modes, heat settings, and music options. They are portable and battery-powered, so you’ll be able to transport them easily. 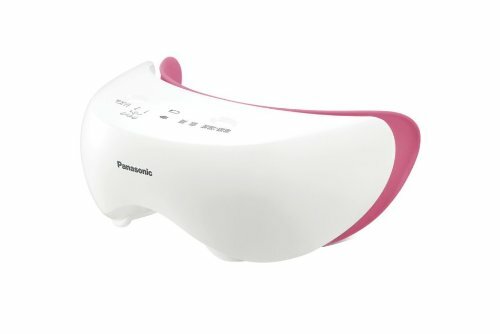 Many eye massagers also come with a convenient remote control that will allow you to adjust the experience of the massage while you have the mask or headset on. While these are highly innovative products, it’s important to understand that you will likely need to fiddle with the settings to find a configuration that’s best suited to your needs (ie, intensity, music settings, etc.). A small population of users do not react well to the eye massagers, while many others report dramatic improvement of formerly intractable chronic pain conditions. In our estimation it’s best to do your own research. 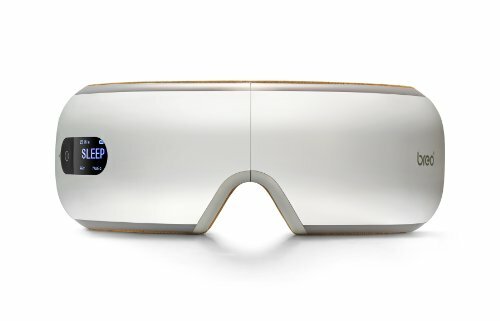 The 11 oz., Breo iSee 4 wireless, digital eye massager is our top pick- it includes air pressure, vibration, heat modes, designed to provide a wireless eye massage that can help relieve fatigue and strain in your ocular region. Admittedly there are some mixed reviews about this unit- some find it incredibly effective, relaxing and pleasant. While others don't like the temple pressure or the music mode. Users do agree that the quality is amazing, however- closely resembling an Apple product. In all, you likely won't know if this is a good product for you until you purchase and try it. Luckily, there is a robust return policy on Amazon.com- so if you buy it, and are one of the users to don't enjoy the eye massage experience, you can safely return it for a full refund. 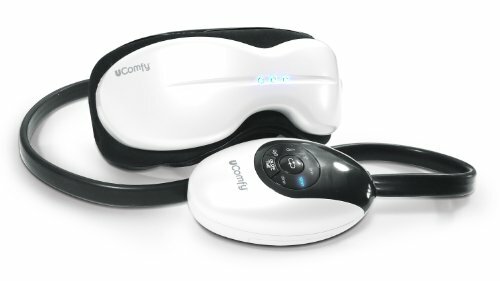 Our recommendation is if you suffer from eye fatigue and strain, or poor circulation in your ocular region, it's probably worth trying one of these eye massagers to see if they can help. They could be a cheaper home option than booking expensive spa days at your local salon every week! Pain relief is a highly subjective experience- not everyone experiences success with this massager! This portable and foldable eye-massager promotes itself as an ideal travel companion. It softly massages the ocular region of the head to relax the muscles and improve blood circulation. With its three different massage modes, this product is also designed to relieve eye-strain, dry eyes, headache and sinus pressure. On top of that, it can be set to play pre-recorded nature sounds, though some buyers find it to be annoying. Close to a majority of its users gave this product a strong endorsement. When used regularly, this massager may reduce the appearance of dark circles and puffiness around your eyes. This massager also comes with a travel case. With 6 massage modes to choose from, this product advertises that it an ultimate relaxation experience . It features multi-frequency vibration capability, intelligent air pressure, infrared heat compression and magnetic field. It aims to relax the wearer with an acupressure point massage while playing MP3 music. Basic features can be manually selected and customized. This sleek and modern-looking massager promotes better sleep, relieves stress and eases pain. It also improves blood circulation and gives relief to eye fatigue. It has received mixed reviews, however, from its buyers. 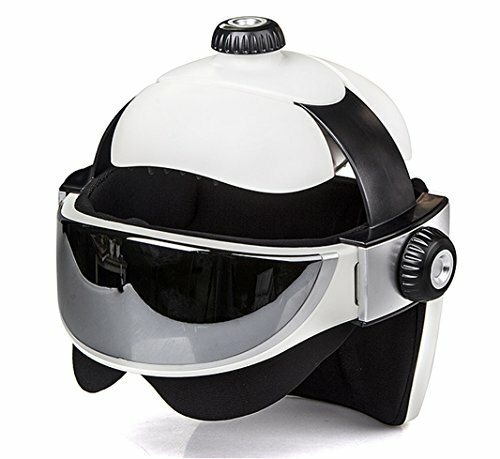 Some users claim that it works great for smaller heads but may not comfortably fit onto medium and larger-sized heads. 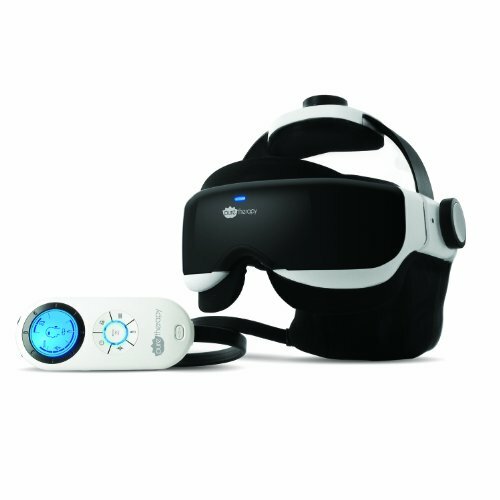 This fully adjustable and customizable eye massager exercises the head’s muscles for a calming and soothing effect. It can be set to a massage in increments of 5, 10 and 15 minutes. Four vibration modes are available with varying intensities . Other features include 4 air pressure massage settings, heat compress, and calming nature sounds. Customization of features can be easily accomplished when wielding the hand controller. Some claim that the vibration is just too shaky and strong while others found a solution to this with proper some calibration. It must be fit snugly, and not too loose, to make it work properly. If you are suffering from eye fatigue or are simply seeking simple relaxation, this eye massager could be for you. It has a solid base of positive reviews- though not overwhelming. This low rating can be attributed to its use of AAA batteries which are not as cheap as the AA batteries that many massagers use. The blinking blue light that it emits whenever the massager is on can also be slightly annoying. Other than these issues, this massager is great for soothing the forehead and temples , relieving headaches and helping the eyes relax. It can be customized to vibrate at different pulse settings. It also has heat and air pressure settings for a more comforting effect. With the majority of its users giving it a ringing endorsement,, the effectiveness of this massager is certainly indisputable. Although it does not come with an English manual, you could easily find a YouTube video on how to use it. This compact massager is pretty easy-to-use and is effective for relieving tired, strained and dry eyes, as well as wrinkles . It is also suitable for people who simply want to relax. It releases steam for a calming effect. Moreover, it stimulates blood circulation around the eyes and helps lessen the appearance of black circles. Some users say that they feel uncomfortable while using the massager, but ultimately felt rejuvenated after the massage. In that sense, this might be an instance of ‘no pain, no gain’! There are many benefits to receiving an eye and head massage. 1. It can help to prevent headaches, migraines, reduce puffiness and even soothe back pain. Tension that occurs in the upper back, the neck and head frequently results in migraines and headaches. Left untreated, over a long time, this can lead to depression. 2. Massages that focus on the head exclusively can actually promote hair growth. This occurs because increased circulation boosts oxygen and helps to nourish the scalp and hair follicles, resulting in increased hair growth. 3. Another benefit is detoxification. Lymphatic drainage and increased blood flow throughout the neck is crucial in assisting the elimination of waste from the body. 4. Massage of the eyes and the head can also help with insomnia and general sleeplessness. These sorts of restlessness are usually the side effects of stress and you will find that massage is a really useful means of increasing relaxation by alleviating physical symptomology. 5. Another surprising benefit to massage that focuses on the temple and the eyes is the alleviation of anxiety and depression symptoms. Massage increases the flow of oxygen to the brain which is a crucial method of diminishing anxiety and elevating one’s mood. This physiological effect is similar to the experience of exercising. 6. If you are at all into Ayurvedic medicine, you’ll understand that this sort of focused massage can have a powerful influence on your energy state, particularly the chakras. 7. Another interesting side benefit of head and eye massage is the memory benefits that are experienced. The influence of massage can help to calm the mind, diffusing cluttered thinking and helping you to gain a better perspective on life and the problems that you are currently facing. Not everyone experiences the sensations from these devices the same way. Some people experience relief while others are baffled that they can provide any type of comfort at all. That said, there are enough positive indications from people that have experienced complete pain relief, or at least dramatic alleviation of headaches and eye strain, that investigating this as an option for yourself could be a good idea. Further, the adjustable settings of these devices will allow you to customize the experience. 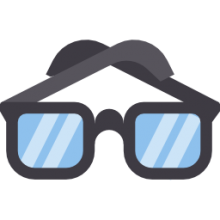 So even if one setting might be uncomfortable for you there’s a good chance that by adjusting the eye massager you’ll be able to find the custom mode that is best suited to you. Many users report positive experiences when using these devices in conjunction with facial steamers. This is an innovative way of providing a truly comprehensive home facial-treatment regimen. To ensure that you select the right massager for your needs, make sure that you carefully read our product reviews, and also check out the comments on the Amazon product pages. Especially with a device like this, with such a range of positive and negative experiences associated with it, be sure to read this information carefully. It can be the difference in choosing a product that you love and one that you end up returning!